The artist said she and her BeyGOOD team will provide aid for those affected by flooding. 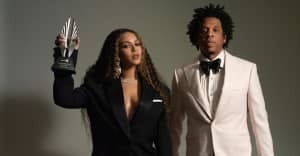 Beyoncé has confirmed that she will be providing aid in her hometown of Houston, Texas as the city recovers from the affects of Tropical storm Harvey. The singer previously shared a "prayer for Houston" following adverse weather conditions that officials estimate has left 30,000 residents needing shelter. Beyoncé’s BeyGOOD was founded in 2013 and partners with global charities to provide housing, food, and medical assistance to those in need. Other artists including Drake and Travis Scott have shared messages of support and direct aid to Texas since the storm began. Comedian Kevin Hart donated $25,000 and encouraged others to follow his lead.